A combination of high electricity tariffs, falling PV prices and a lack of reliability in the grid is spurring sales of on-site solar to business customers in Sub-Saharan Africa. This is the conclusion of a new report by research company BloombergNEF (BNEF), commissioned by responsAbility Investments AG, assessing the potential of commercial and industrial solar opportunities in the region. The report entitled “Solar for Businesses in Sub-Saharan Africa” finds that the commercial and industrial (C&I) solar sector in Sub-Saharan Africa is growing not because of regulatory support – as has been the case in many developed economies – but because of economics. On-site solar power is cheaper than the electricity tariffs paid by commercial or industrial clients in 7 out of 15 markets in Sub-Saharan Africa studied by BNEF. 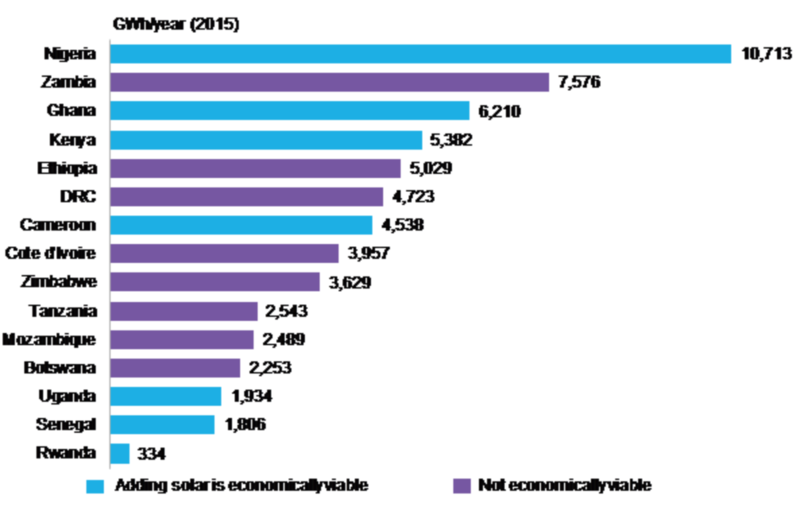 Source: BloombergNEF, IEA. Note: a market is considered economically viable for C&I solar if both commercial and industrial electricity tariffs exceed BNEF’s cost estimate for C&I solar in the region. According to the authors, the financial sector has yet to take on a major role in providing funding for C&I solar systems. So far, most business customers have bought systems for cash, without using third-party finance. There are, however, big opportunities for specialized financiers in the region to do more. responsAbility-managed funds have financed the off-grid solar sector in Sub-Saharan Africa for five years, focusing primarily on residential customers. The company expects solar to be increasingly deployed on C&I sites, where it often complements diesel power generation. responsAbility, in cooperation with the dedicated climate fund it manages, and the Swiss State Secretariat for Economic Affairs (SECO), commissioned BNEF to identify and assess potential target markets for C&I solar in Sub-Saharan Africa. Following a desk-based regional study that identified three high-priority markets, BNEF conducted interviews with 36 stakeholders in those markets. Overall, stakeholders are optimistic about the future and BNEF expects 2019 to be a record year for the C&I industry.